Since 1916, Magid has been recognized for their consistent quality, fashion-forward designs and global sourcing. The material and coloration of each hand-constructed bag from their straw collection are unique to the Philippines. 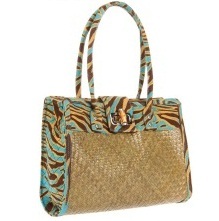 Find the perfect Magid straw handbag for you.